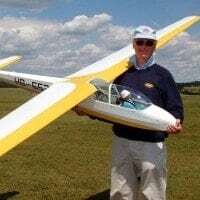 Cliff’s plan is a faithful reproduction of this aerobatic aircraft. 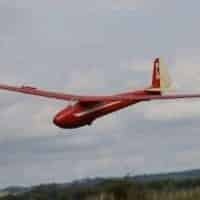 For a glider, it has a very impressive performance and is a great scale subject. There are some really nice colour schemes available for this aircraft, which should keep you scale boys and girls happy! 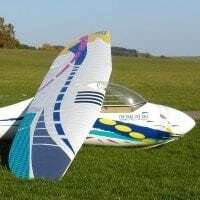 1/4 scale 98.4″ (2500mm) span model of a famous aerobatic sailplane. Two sheet plan. 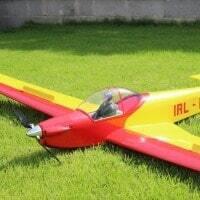 The Lo-100 is an aerobatic glider of classic wood and fabric construction well suited to amateur building methods. The designation Lo was bestowed by the designer Alfred Vogt in memory of his brother Lothar Vogt, with whom he had developed the predecessor model Lo-105 Zwergreiher (‘dwarf heron’). The first flight of the prototype took place in 1952 at the Klippeneck. The single-piece wing has a main spar built from laminated beechwood in order to achieve the strength needed for aerobatics. 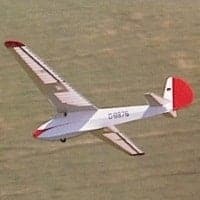 The glider has no spoilers and must be landed using side-slip.